Serious Business – this Thursday | F.A.T. 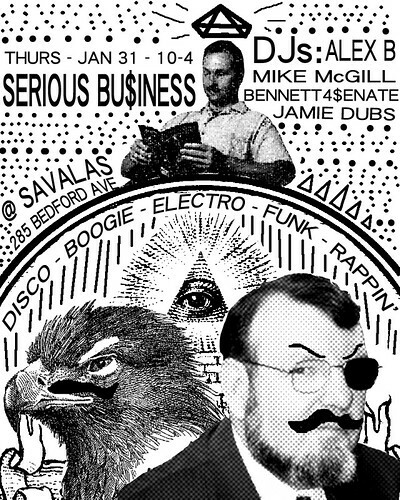 Serious Bu$iness, the official F@ DJ Crew, continues their monthly residency at Savalas in Brooklyn. Come out for a good time – get drunk with fffff.at/people and show off your dance skillz.